There's plenty of state of the art devices available these days for surfing the web, connecting on social media, taking photos, shopping online, reading e-books,listening to audiobooks, and even making good old fashioned phone calls. Smartphones, tablets, and portable computers can be fantastic tools for everyday use. With the holiday season here, there are many devices available from Apple, Android, and more. For those new to so much technology, this can seem more daunting than exciting! 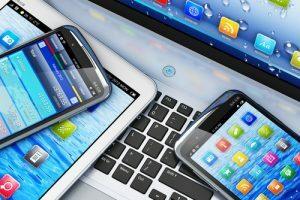 If you're worried (or frustrated) that you don't know how to use your device, or your parent or grandparent will get fed up - look no further than the Boston Public Library for your tablet, smartphone, computer and hand-held device help. Central Library: Open Tech Lab, Mondays (except 12/24), 10am - 6pm, and Thursdays, 1p - 7p. Call 617.859.2323 or email computerworkshops@bpl.org to make an appointment. Grove Hall Branch Library: Drop-in Tech Thursdays, 12:30pm - 3:30pm. Call 617.427.3337 to make an appointment. Codman Square Branch Library: Drop-in Tech Help, Wednesday, 12/5 from 2 - 5:30pm. No appointment necessary. South Boston Branch Library: Tech Help, Wednesdays, 11am - 12pm. Call 617.268.0180 to make an appointment. Honan Allston Branch Library: Drop-in Tech Help, Thursday, 12/6 from 10:30am - 5:00pm. No appointment necessary. Charlestown Branch Library: Computer Instruction, Wednesdays (except 12/26), from 3pm - 4pm. To make an appointment for a different time, call 617.242.1248. Chinatown Branch Library: Open Tech, Thursdays, 3-5pm. Call 617.807.8176 to make an appointment.